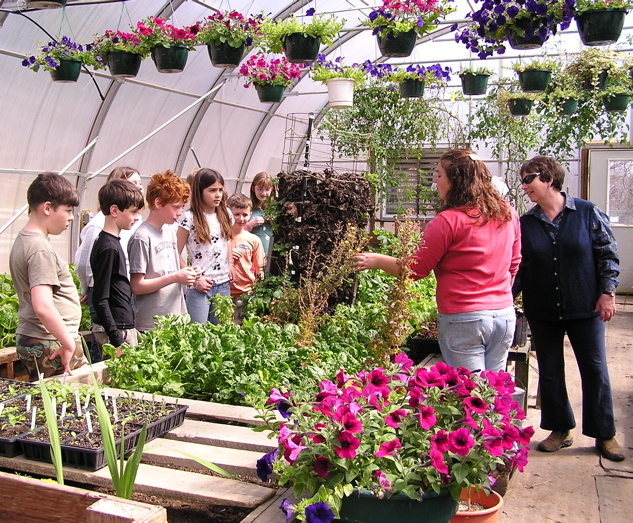 Mrs. Krueger’s fifth grade science students learn some of the intricacies of Greenhouse life with Hannah. Here they are asking about the potato tower and the three foot lettuce plant that looks like a big thistle stalk. 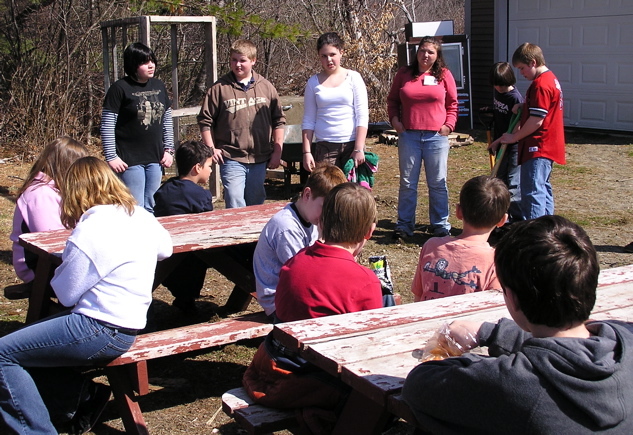 7th grade members of the garden project give a talk about soil science and vermicomposting. 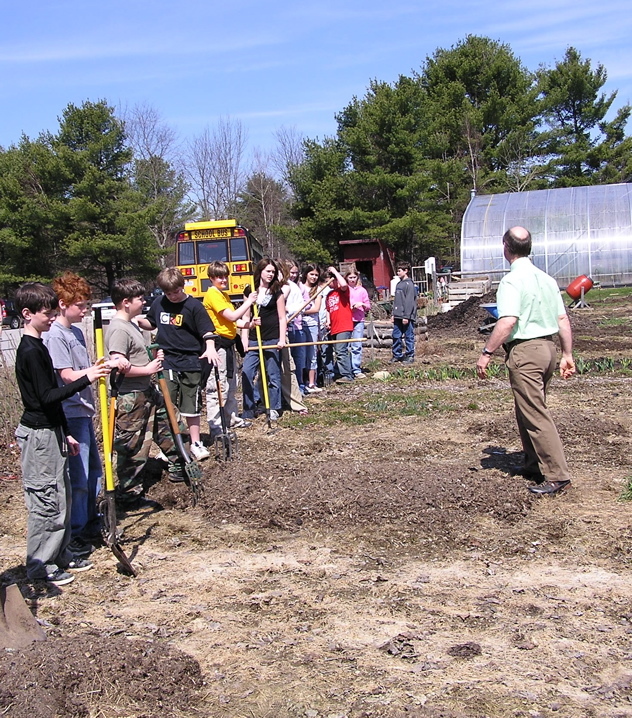 The garden students are really generous with their knowledge and time. P.E. in the garden? 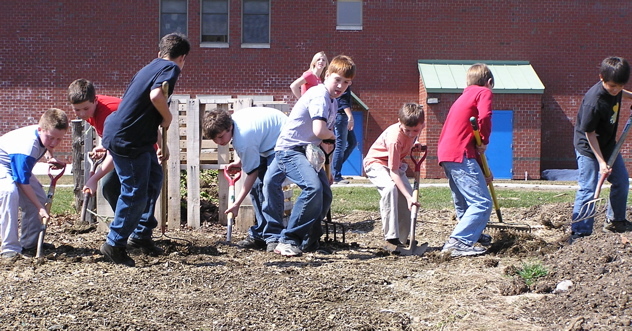 Students line up with rakes, shovels and pitch forks for a hand tilling race the width of the garden. The first one to finish tilling their row wins a treat from the garden. Not only a great way to get some quality exercise but it’s also a bit safer for the worms. Mr. T.